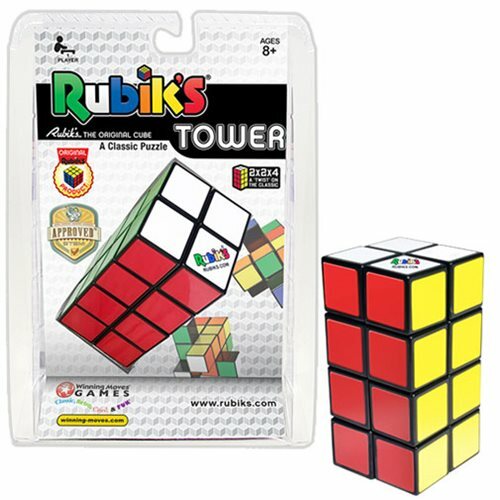 This 2x2x4 Cube is an interesting twist on the original Rubik's Cube. Imagine two 2x2 Rubik's Cubes on top of one another, that are able to rotate around a central axis. This allows for an especially diabolical twisty puzzle! Ages 8 and up.